You know that red rag tied in the middle of a rope that helps decide the winner of a game of tug-of-war? I was that red rag while watching ‘John Carter’ and the competing sides were team excellence and team terrible. It’s a film that agonisingly drifts between both sides but never properly settles for enough time to amount to anything worthwhile. John Carter (Taylor Kitsch) is a Civil War veteran who is mysteriously transported to the planet Mars that is known to the alien population as Barsoom. Soon, Carter finds himself embroiled in the matters of the warring tribes of Barsoom while haunted by memories of his life on Earth. ‘John Carter’ was made on a rumoured budget of over $250 million and you can see the money exploding on screen with the amount of special effects. Digital effects are used to bring alien characters to life and giant spaceships that look like a reflector shield you put on your cars windscreen to protect the interior from the sun. The digital creations are impressive and give the alien environment a unique look and feel. Unfortunately, despite the good visuals, ‘John Carter’ doesn’t match them in other departments. Terrible dialogue, a convoluted plot and lame villains clog up the film. At times it felt like you needed an official sliding information wheel to track the different alien races, planets and terms flying around. Parts of ‘John Carter’ resemble a sloppy ‘swords and sandals’ film from the 60s with a dash of the cartoon series ‘He-Man’ thrown into the mix. There are very brief moments of brilliance, especially when it comes to Carter using his quest as a way of exorcising the demons of his past. Several pieces are being put into play with hopes that the film can be franchised for Disney, and those origin elements are nice. It’s just a real disappointing effort from director Andrew Stanton who doesn’t make the jump to live-action well after successfully directing the Pixar films ‘WALL-E’ and ‘Finding Nemo’. Kitsch isn’t a good leading man. He easily nails the physicality of the character but it’s a pretty bland performance. The same goes for the supporting cast Lynn Collins, Mark Strong, Dominic West, and Ciaran Hinds. Willem Dafoe gets off lucky only having to only lend his voice to one of the digitally animated characters. ‘John Carter’ is like watching a storm; yes there are flashes of lightning but most of the time you’re just staring at boring grey clouds. After enduring the 132 minutes of ‘John Carter’ tug-of-war it’s not a complete win for team terrible but pretty damn close. 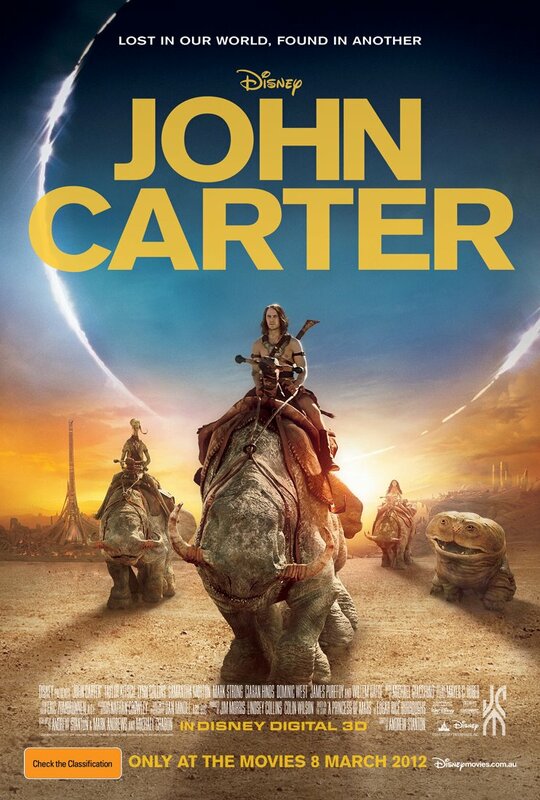 ‘John Carter’ is released 8 March 2012 in Australia and 9 March 2012 in the US. Shame it ain’t too good, but interested to see it in 3D regardless. Nice review, too! 3D wasn’t worth mentioning because it doesn’t exhist in the film, just a cash grab like all 3D films. Thanks for checking out the review. Why the fuc does one review automatically make it bad? 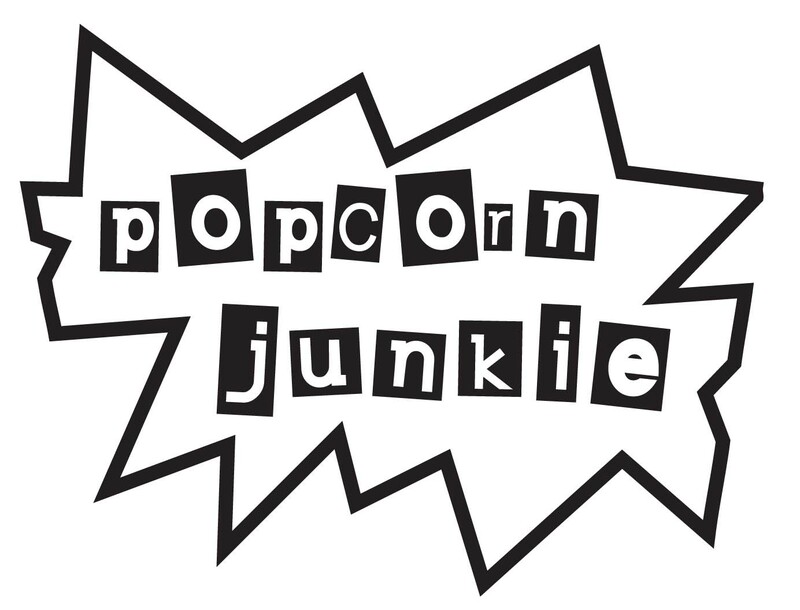 For a so called lover of movies, it seems to me that all the popcorn junkie site seems to do is find faults with them. Well, it’s awfully tough to like a movie while hating the script or finding the 3D so flawed that it harms the viewing experience. I’m with Mr. Williams on the artistic failure of John Carter. I liked Collins a lot and was surprisingly amused by Kitsch, but otherwise we’re in the same boat. It’s a mediocre movie with a muddled narrative and an incredible sense of constant confusion due to its similar-looking supporting characters, poor exposition, and overly convoluted plot. The fuzzy 3D didn’t help. And kudos to him for taking just 437 words to express what it took me 1,639 words to. Nicely written; I think I’ll skip this film for now!